Do Altered Pitching Mechanics Lead To Injuries? ChrisOLeary.com > Essays > Do Altered Pitching Mechanics Lead To Injuries? 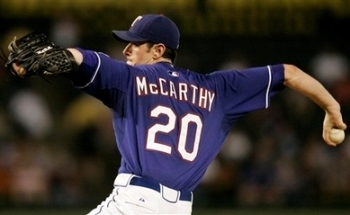 Hi, I was wondering if you can do an analysis of Brandon McCarthy while he was with the White Sox (No arm pain, throwing 95) and Brandon McCarthy with the Rangers (Lots of DL time, throwing 89). I realize that the pictures (from Dallas Morning News blog) are at different times in his delivery, but they are different none the less. This e-mail reflects a very common misconception that needs to be dispelled if we are to make progress in driving down pitching injury rates. The assumption that people make is that pitchers experience injury problems when their pitching mechanics change. As a result, they assume that the way to resolve a pitcher's injury problems is to get them back to the pitching mechanics that made them successful. In my experience, altered pitching mechanics generally cause control problems more often than they cause injury problems. The injury problems that pitchers experience are generally a result of their pitching mechanics staying the same rather than their pitching mechanics changing. In other words, those pitchers had questionable pitching mechanics to begin with, and it is those questionable pitching mechanics that are causing their injury problems. I have made this point before regarding the persistence of Mark Prior's injury problems, and the same principle holds for Brandon McCarthy. Basically, Brandon McCarthy's pitching mechanics have always been questionable, and his questionable pitching mechanics are now starting to take their toll on his arm. 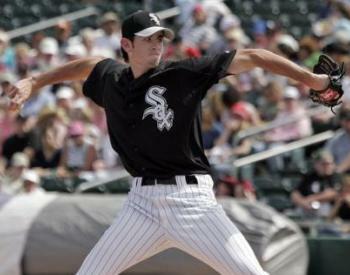 The thing to notice in the above photo of Brandon McCarthy while he was with the White Sox is his significant Inverted W. By taking his elbows above and behind his shoulders as he does, he creates a timing problem. This increases the load on his elbow and shoulder and will gradually wear them down. 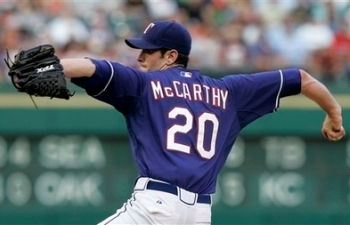 If you look are more recent photos of Brandon McCarthy, you can see that the Inverted W is still there (and might even be a bit worse). 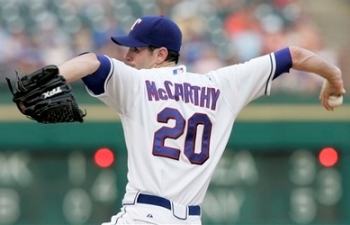 As a result, it's not surprising that Brandon McCarthy is experiencing arm problems. What is a bit surprising is that he lasted this long. 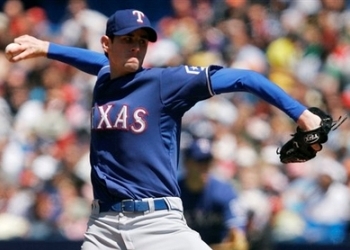 The way to think of what's going on in Brandon McCarthy's arm is as a fatigue problem. If you take a piece of soft metal (e.g. a straightened-out paper clip) and bend it back and forth repeatedly, it's not going to break the first time you bend it. Instead, it's going to handle the bending for maybe ten or every twenty cycles. However, it is gradually going to degrade to the point where it eventually breaks. The same thing happens to a pitcher's elbow and shoulder when they do something problematic like making the Inverted W or the Inverted L. They are going to be just fine for a while, and might even throw a bit harder than they normally would. However, the fact is that you are putting an excessive load on their arm. As a result, at some point their arm is going to break down. Once that happens, the only way to really fix the problem is to change their pitching mechanics so that they stop overloading their arm. If, as with Chris Carpenter, you only address the symptoms and not the root cause of the problem, then the problems will crop up again.